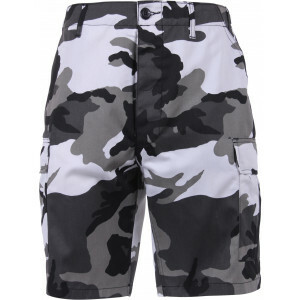 BDU Cargo shorts are loosely cut shorts designed for tough, outdoor activities distinguished by multiple cargo pockets. A cargo pocket is a form of a patch pocket with accordion folds for increased capacity closed with a flap secured by zippers, or button common on battle dress and hunting clothing. 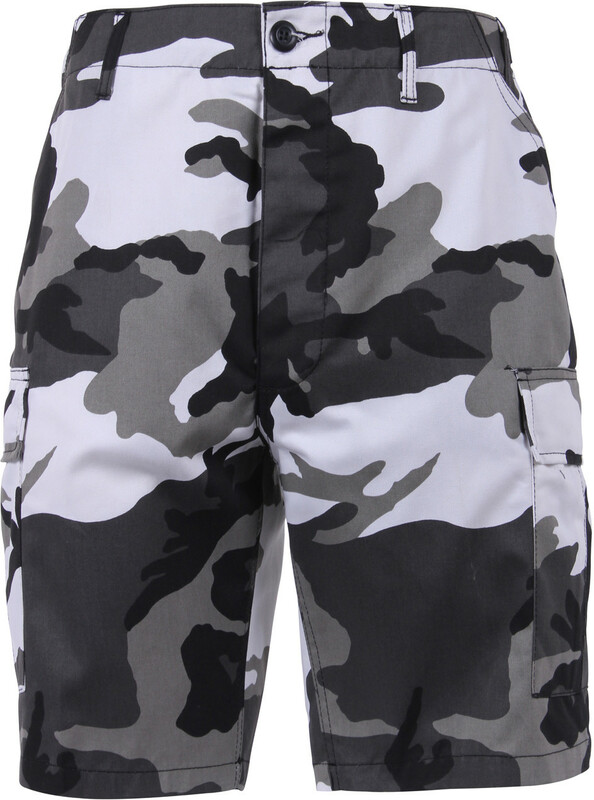 BDU Shorts are typically worn in warm weather or in an environment where comfort and airflow are more than the protection of the legs. The lightweight feel on the skin, allows the constant flow of air up the wearer’s legs, thus making the person more comfortable in warm weather. Shorts are perfect for many different things. You can wear BDU Shorts to just to be comfortable at home or you can wear Shorts outside. Shorts are perfect for outdoors. They allow the wearer to be cool and comfortable compared to someone that is wearing jeans or pants in the warmer weather. Athletes wear shorts, campers, fishers, or any outdoors kind of person would find shorts to be the most convenient thing to wear. 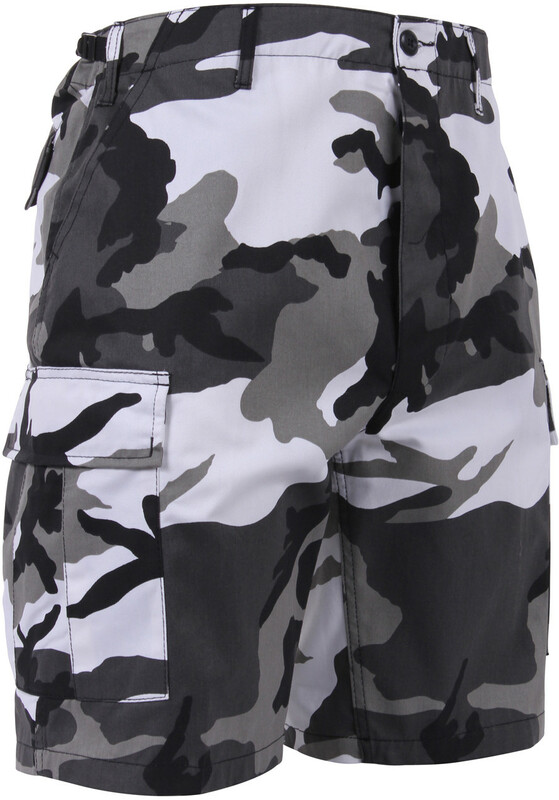 Camouflage BDU Shorts are perfect for hunters or anyone that is in the wilderness that needs to blend into the environment. 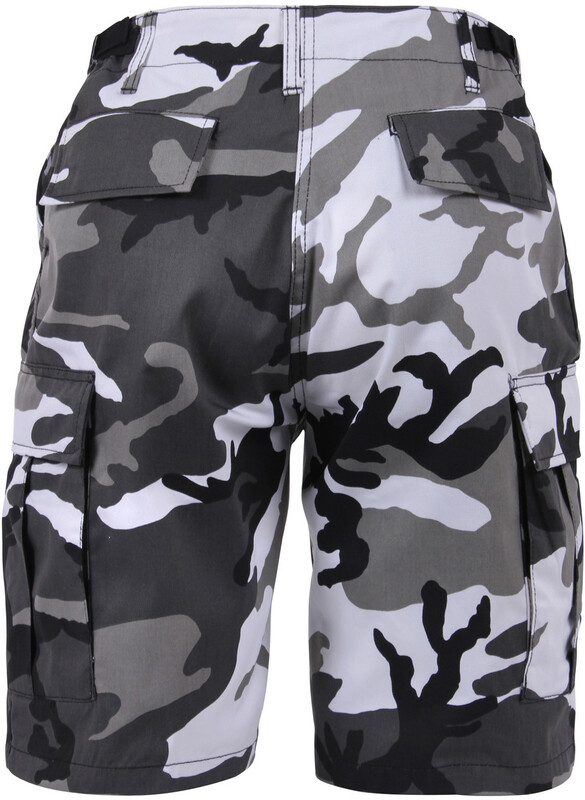 We sell a wide variety of BDU Shorts both camouflage and solid colored. All measurements are in inches. This is a generic size chart for our BDU shorts. It does not mean all the shorts are available in these sizes. 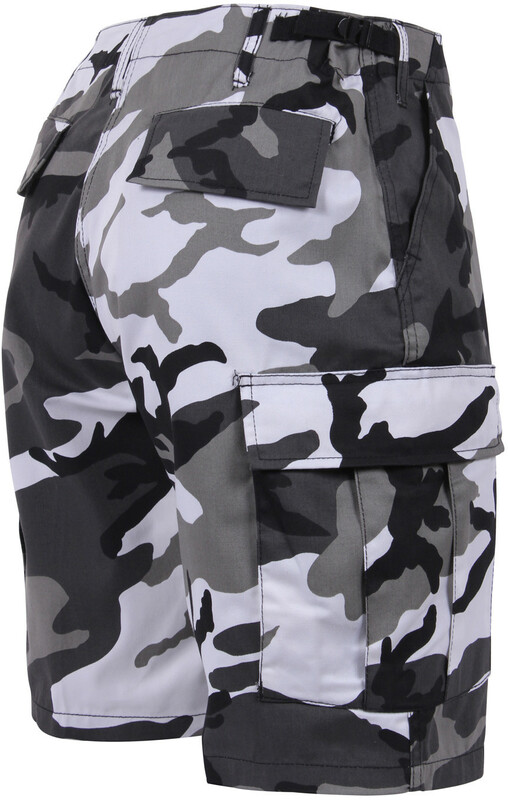 All BDU shorts have adjustable tabs so pants can fit various waist sizes. Real waist size for shorts will be the largest size. (I.E. Size Medium will have a waist size of 35" and can become smaller until 31", so it will fit all the sizes in that range.) These shorts are mens sizes & cut for men, but are unisex.